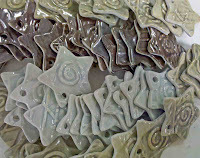 With every firing this month, I have been inserting small star ornaments. I will package them into sets of three that will be for sale all this month. I sold out of them at my last sale. This weekend, in between visiting with family and friends, working in the studio, I moved the furniture around in our living room. My dogs have found that this move has been very enjoyable to them. I moved the area rug so that a corner of it is in front of the fireplace. They love it! 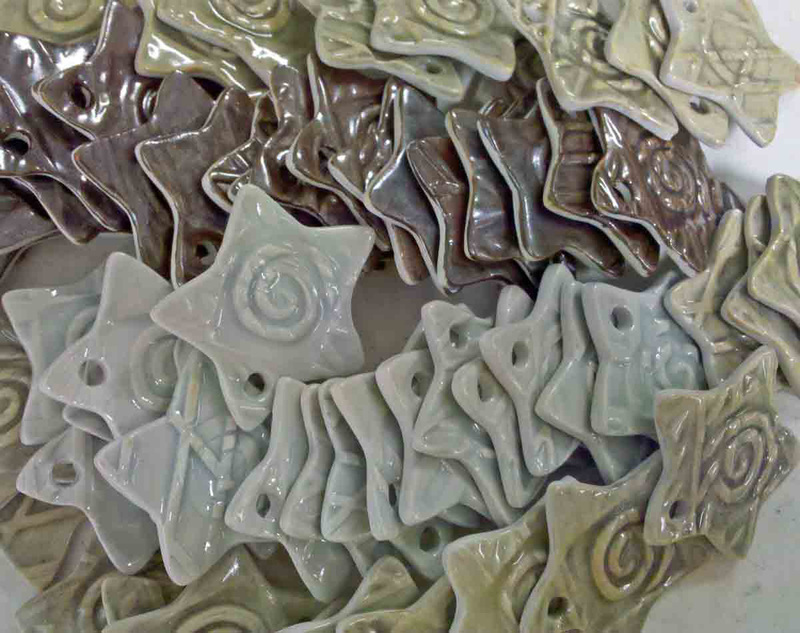 This morning after checking the kiln, I found them in front of the fireplace waiting for me to start up a fire, just for them. “Mom, would you pleasssse, light a fire just for us? Pleasssssse.” Of course, I did. I tried to take a picture but they hate cameras. Instead, you have a photo of ornaments. Tis the season!